Most of the 200-year-old tree fell during a storm last July, and now it's gone for good. 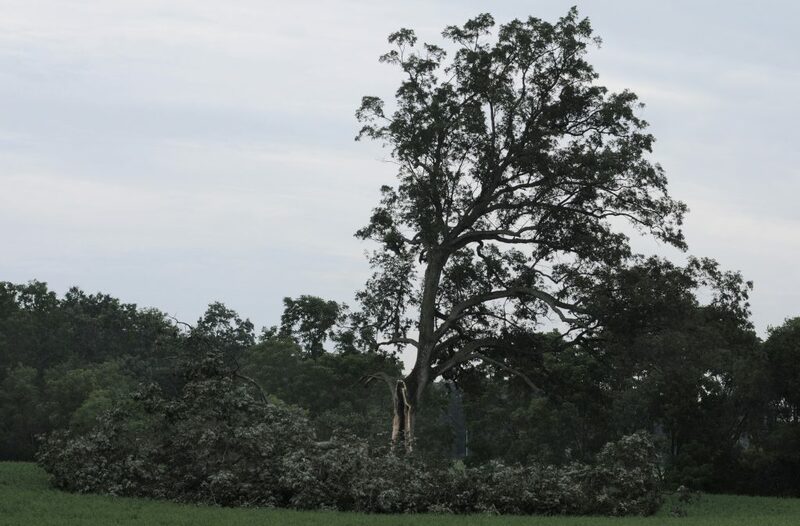 MANSFIELD, Ohio – What remained of a 200-year-old oak tree made famous by the movie “The Shawshank Redemption” has been cut up and hauled away. Though the movie was set in Maine, much of it was shot in Ohio, and the tree that was depicted as being in Buxton was actually on private property in north-central Ohio. The Mansfield News-Journal reports that property owner Dan Dees said last week that he plans to use some of the wood to make a table. The tree was rotted in the middle when high winds knocked down a portion in 2011. Most of what remained of it fell during a storm last July. The tree was featured in one of the final scenes of the 1994 film based on a Stephen King novella starring Tim Robbins and Morgan Freeman. Freeman’s character finds an important letter buried by Robbins’ character underneath the tree. For years, fans could view the tree along with other places in the Mansfield area related to the film.